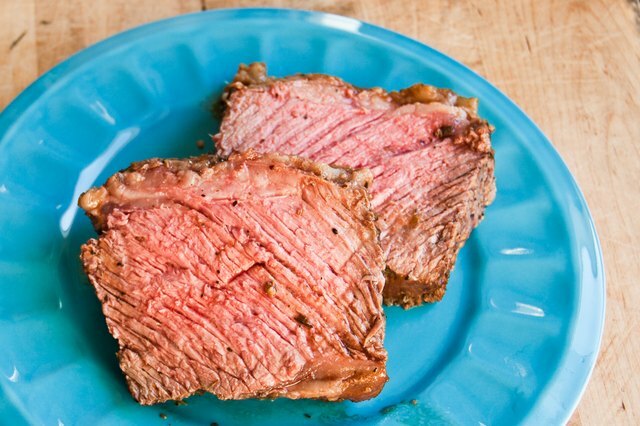 The method for cooking a filet mignon roast, also known as a beef tenderloin, involves the same techniques used when cooking any whole cut of beef, such as the rib sub-primal used in prime rib. 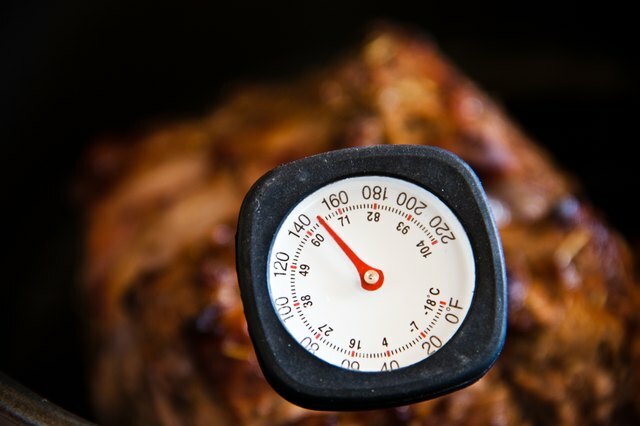 Although cooking times vary depending on the size of the tenderloin and the type of oven used, all beef roasts should cook to a recommended internal temperature of 145 degrees Fahrenheit. 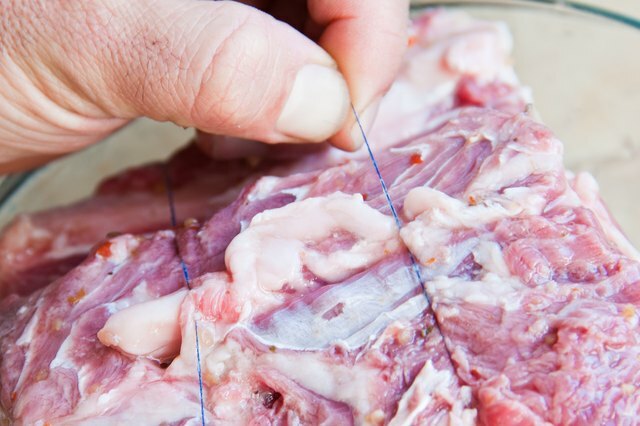 Tie the roast at two-inch intervals using butcher's twine. Tying the roast helps the meat cook uniformly and contributes to the aesthetics of the finished product. Season the meat, if desired. You may want to rub it with garlic or pepper, or use a rub of your own choosing. 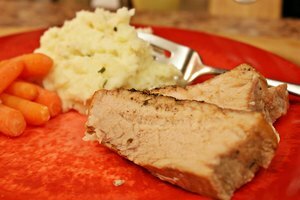 Sear all sides of the tenderloin on the stovetop, either in the roasting pan or in a skillet large enough to contain the cut of meat. 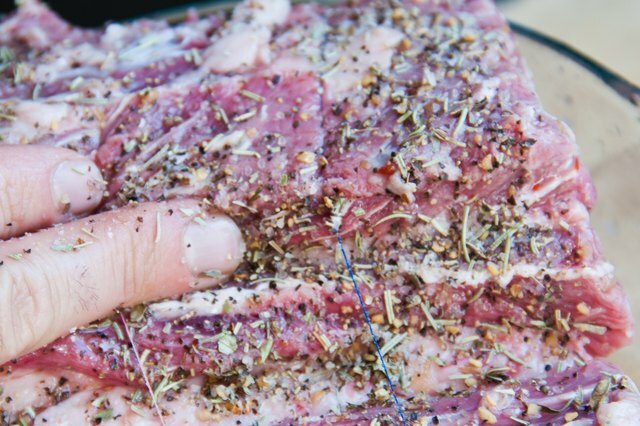 Pat the meat dry before you sear it to get the best browning. 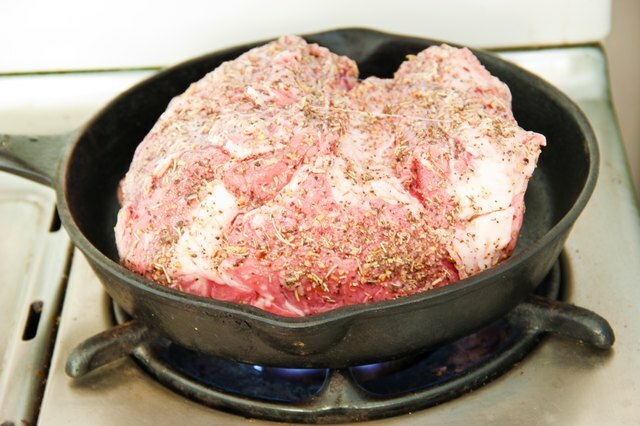 Place the meat in the roasting pan, then place the pan in the oven. 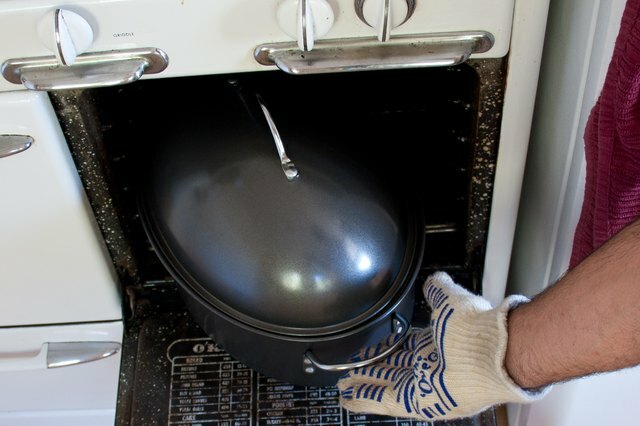 Immediately reduce the oven's temperature to 225 degrees Fahrenheit. 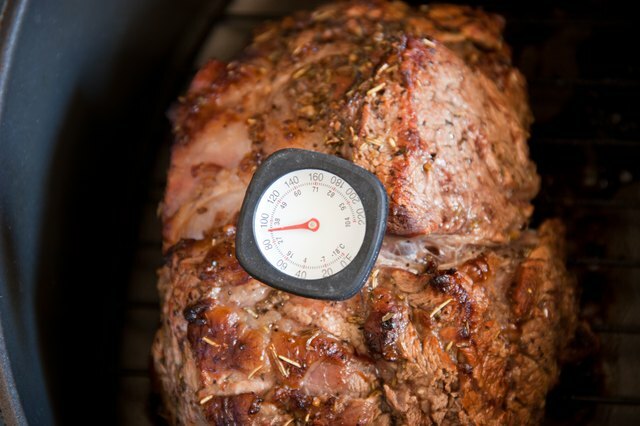 Check the internal temperature of the tenderloin every 60 minutes by inserting a probe thermometer into the center of the roast. 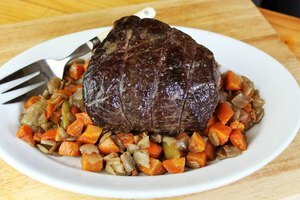 Remove the filet mignon roast when it's cooked to a USDA-recommended internal temperature of 145 degrees Fahrenheit. Allow the meat to rest in a warm place for 15 minutes. 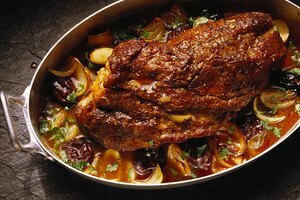 This allows the meat's juices to redistribute within the roast and results in a moist final product. 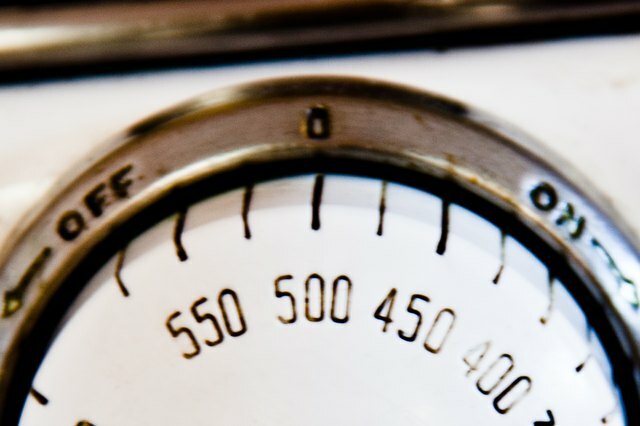 When cooking a small tenderloin (less than three pounds), check the internal temperature every 30 minutes. 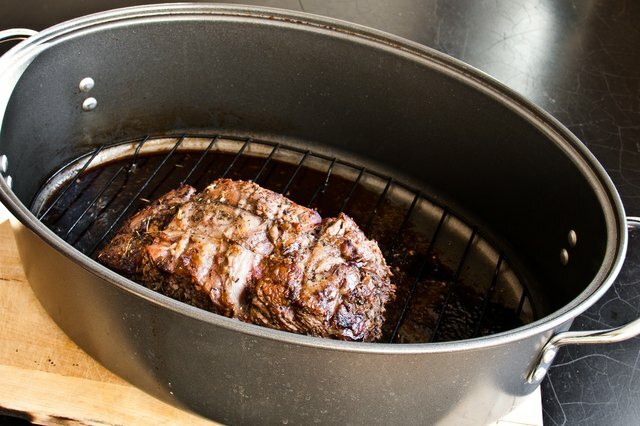 The USDA recommends cooking beef roasts to a minimum internal temperature of 145 degrees Fahrenheit.